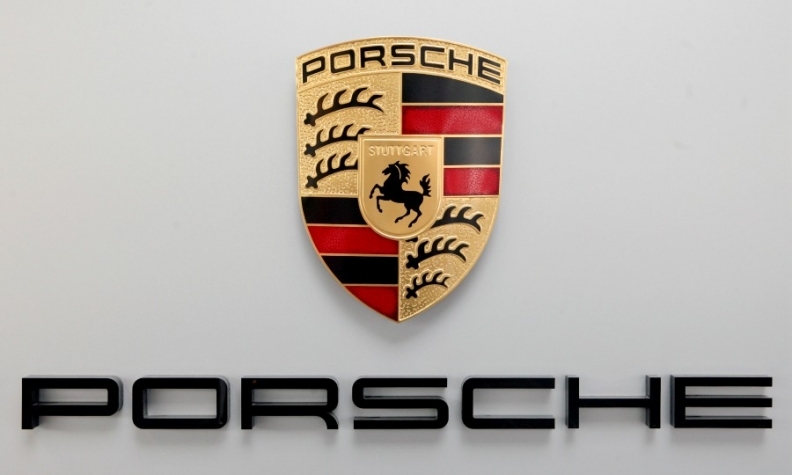 The United States' reign as Porsche's single largest market could end this year. China is poised to push the United States to No. 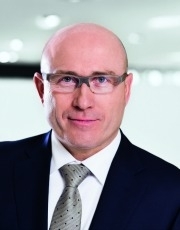 2, and if doesn't happen in 2014 it will definitely take place in 2015, predicts Porsche head of sales and marketing Bernhard Maier. The former BMW and Jaguar Land Rover executive, who joined Porsche in 2001, also told Automotive News Europe Editor Luca Ciferri how Porsche will remain the world's most profitable automaker and why it won't add a model below the Cayman or Macan. When will China pass the United States to become Porsche's single-largest market? It is an interesting head-to-head race. China could become No. 1 in 2014, but I expect this will happen in 2015. Nevertheless, one thing should be clear: We will not be volume driven. Volume is not our main focus, it is the final result of the actions we have taken. The most important thing is that we have qualitative, sustainable and profitable growth. We also want to offer the most exclusive purchase and ownership experience for our customers. Main Challenge: Boost Porsche's annual global sales to 200,000 without adding models below the Cayman and Macan. What is Porsche's ideal balance of sales per region? Where we are now, which is about one-third each for the Americas, Europe and Asia. If we would not have changed our product strategy, it could have been difficult to maintain such a balance in future. Thanks to the Macan, we are entering a new segment that makes it possible for us to grow in mature markets, too. What are your global sales expectations for the new Macan? About 50,000 units a year, but that will not happen this year because we won't launch the vehicle in Europe until April. Soon after that it goes on sale in the U.S. and China sales start in August. We are positioning the Macan at the very top of the compact SUV segment and we are extremely confident. This segment has had tremendous growth and is expected to be fastest-growing segment globally in future. In my view, the Macan opens its own sub-segment and we envisage it being a major success story in America, as well as Europe and China. To capitalize on booming global SUV sales does Porsche need to add a model either above the Cayenne or below the Macan? We apply Porsche's 10 imperative guidelines each time we consider adding a new car or joining a new segment. One of the imperatives is that we always offer the sportiest car in the segment. Therefore, it would be very difficult to build the sportiest SUV in a segment above the Cayenne because bigger means more weight and less agility. The same is true for a smaller model. The Macan and the Boxster will remain the entry points into the Porsche world. Porsche may reach its 2018 target of 200,000 global sales as early as 2015. How will this happen so fast? When we outlined our strategy in 2011, we said we wanted to launch the biggest product offensive the company has seen in its 65-year history. We started with the 911 and then came the Boxster and the second-generation Panamera. The Macan will come to market at the same time we deliver our new supercar, the 918 Spyder. We also looked at the development of the industry. Market forecasters said they expected global demand to reach about 100 million vehicles a year by the end of the decade from 60 million at the time of our plan. While the overall market is expected to grow by an average of 3 percent a year, the luxury segment is forecast to expand by more than 4.5 percent. Define profitable growth at Porsche. We want to grow to 200,000 units while keeping our return on revenue above 15 percent and [having a] return on equity of more than 21 percent. Why? That way we remain the most profitable car manufacturer in the world and we're able to finance all our investments from our net cash flow. This stabilizes our business model and results in sustainable, profitable growth. Was 2013 another record sales year? Yes. We have probably more than doubled our sales in only four years. The last couple of years were really good. In 2009-2010, nobody expected that North America would come back so fast. In 2012, our sales in North America grew by a quarter and being up by 15 percent in China also helped. China has a strong potential for further grown this year, as last year the Panamera changeover left us short of product there. In China the Panamera is our No. 2-selling model behind the Cayenne. Even in Europe, we did well, with about 10 percent growth.